Higgs & Johnson is pleased to announce that Insolvency & Restructuring partner Tara Cooper Burnside will be speaking at the Annual Regional Conference of the International Association of Restructuring, Insolvency & Bankruptcy Professionals (INSOL International) in New York (29 April – 1 May 2018). Tara’s session, “Offshore Restructuring – What’s Happening And What’s Interesting!” will involve a panel discussion of recent developments in offshore insolvency and restructuring. In addition to The Bahamas, there will be updates from the Cayman Islands, Singapore, Bermuda, BVI, Guernsey and Hong Kong. 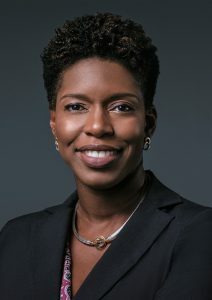 Tara is a Fellow of INSOL and senior practitioner in the firm’s Insolvency practice in The Bahamas with detailed knowledge of the Bahamian insolvency regime. Tara is regularly retained to advise insolvency practitioners has and has worked on a number of cross-border insolvencies and restructurings. Also attending the conference is John Harris, a Commercial Litigation partner in the firm’s Cayman Islands office, whose practice is focused on financial services, investment funds, insolvency and trusts disputes. INSOL International is a worldwide federation of national associations for accountants and lawyers who specialise in turnaround and insolvency. There are currently over 40 member associations and over 10,000 professionals participating as members of INSOL International. The conference will once again bring together INSOL members from around the globe to meet, discuss and learn alongside other leading practitioners from across the profession.